Yellowstone National Park bison researchers Chris Geremia and Rick Wallen head out to do a weekly count of bison in and around the Gardiner basin. Yellowstone National Park biologist Chris Geremia uses his radio telemetry device to listen for a signal from one of the bison that is wearing a radio collar. ...other times they come much closer. 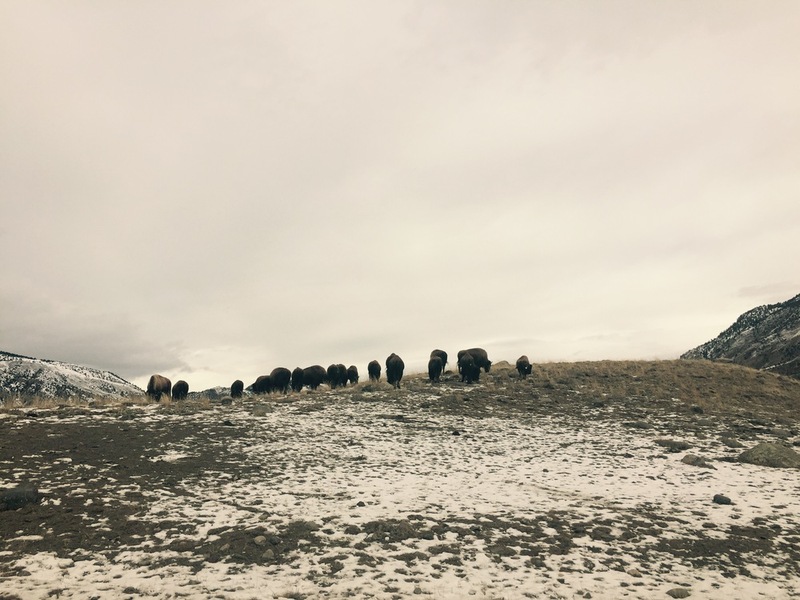 Rick Wallen is the Bison Project Leader at Yellowstone National Park. Wallen climbs a fence near Beattie Gulch to get a better look. In addition to bison, Wallen and his team take a weekly count of the elk, pronghorn and mule deer in the Gardiner area. Back in the office, Geremia and Wallen compile their data. 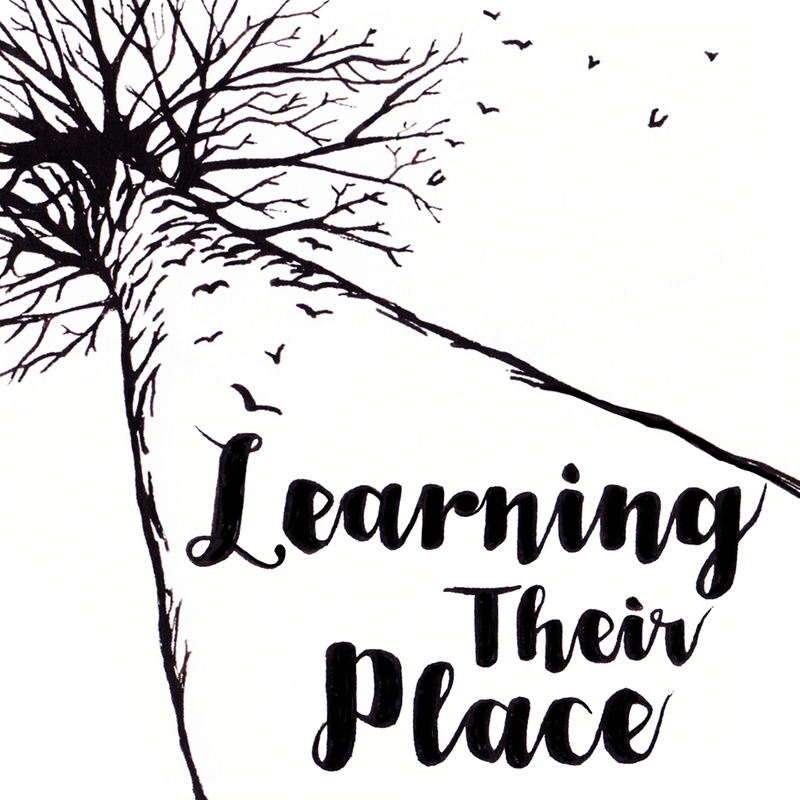 They designed their data-keeping system to be simple and relatively technology-free, with the goal of one day turning it into a citizen science project that could be easily learned by many volunteers. Over 200 bison on the move across the Gardiner basin. They are inside the park boundary and on this day, they were headed back deeper into the park. Trucks gather at the Beattie Gulch trailhead at the border of Yellowstone National Park. Once the bison cross that invisible border, they can be legally hunted. None of the hunters were willing to be interviewed. Once the bison cross the park boundary, they can be shot by hunters. If they are not shot, they may later be rounded up and sent to slaughter. But if they stay in the park, they may not be able to find the food they need to survive the winter. Bison are nomadic; they don't move in one direction and stay there. These animals were heading out of the park when this photo was taken, but the next day they may have moved in the opposite direction -- if they weren't killed in the bison hunt. Hunters retrieve a bison they shot next to Highway 89, north of Gardiner, Montana. Hunters in Beattie Gulch clean the bison they just shot. For most of the Native American hunters, the meat will be returned to the tribe and shared among the community. A bison carcass on a truck in downtown Gardiner following the hunt. Every year, hundreds of Yellowstone bison are captured and "processed," which means they are sent to slaughter. The meat is distributed to Native American tribes. On January 20, park officials gave a tour of the Stephens Creek capture facility for the media and other interested parties. The bison are moved through progressively smaller pens until they are walking single file. Every animal captured receives two identification tags, and is tested for brucellosis. Brucellosis is a bacterial disease which was originally brought to the continent by European cattle. It has been eliminated throughout most of the United States, but a reservoir of the disease persists in Yellowstone elk and bison. The bison consumed in restaurants like this comes from domesticated bison living on ranches. The Yellowstone herd is one of a very few remaining wild herds in the United States. It is also the largest. Bison have been and continue to be used as icons of the United States and particularly the American west. Alan Redfield runs a cattle ranch in the Paradise Valley, about 30 miles north of Yellowstone National Park. Redfield is opposed to the expansion of bison habitat and believes the Yellowstone bison herd should be kept at 3,000 animals or less -- a reduction of close to 2,000 of the current herd. Redfield fears the spread of brucellosis to his cattle. He also believes it is a human health threat. One of Redfield's daughters still lives on the ranch, and plans to take it over when he retires. Drusca Kinke also raises cattle, on a ranch just down the road from Alan Redfield. Like Redfield, Kinke opposes habitat expansion for bison. She feels Yellowstone National Park is not managing the wild bison appropriately. Kinke is a major animal lover. Everywhere she goes on the ranch, she is talking to and interacting with animals. The view of the Paradise Valley from Drusca Kinke's dining room. Wild elk have transmitted brucellosis to cattle, but wild bison have not. Shana Dunkley of the Greater Yellowstone Coalition has helped to initiate a program which provides half of the funding for special fences which keep bison away from certain areas. Matt Skogland of the Natural Resources Defense Council has been working to build consensus around bison issues in the Greater Yellowstone Area for over a decade. Kiersten Iwai of the Sierra Club helps to raise awareness about conflicts surrounding the restoration of wild bison -- and seeks solutions to them. Sabina and Greg Strauss run the Yellowstone Basin Inn, just a few miles outside of Gardiner. 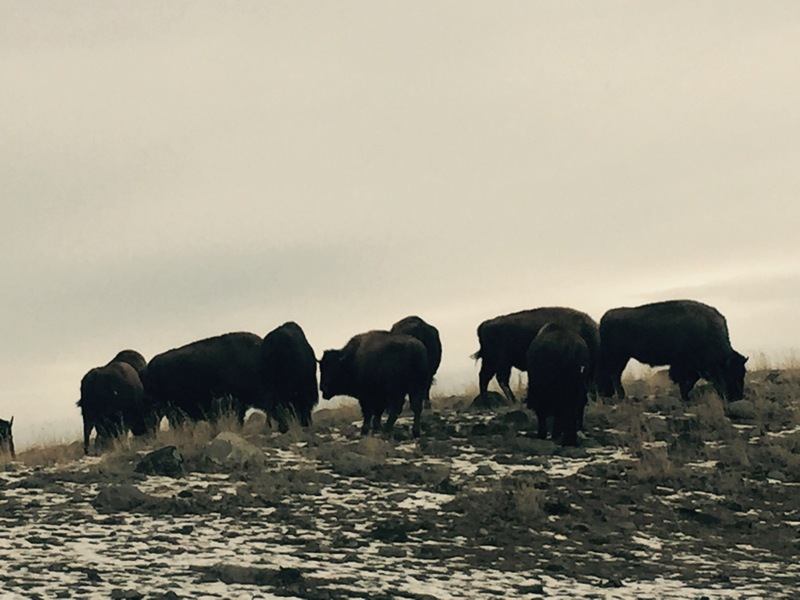 They are supportive of expanded bison habitat, and believe opportunities to view bison enhance their quality of life -- and improve their bottom line. "Our guests love seeing bison," Sabina says. Sabina Strauss holds up a sign meant to inform state officials that they do not want bison hazed off of their property. The Buffalo Field Campaign has been advocating for wild bison since 1995, when these volunteers -- Oliver, Amanda and Sam -- were toddlers. A group of around 20 bison feed next to the Gardiner River in Yellowstone National Park. The landscape of Montana is so vast that even a herd of bison 200 strong can look small from a few miles away. Wild bison live in a few places outside of Yellowstone as well. Dustin Ranglack studied wild bison in Utah's Henry Mountains for three years. I'm in Yellowstone National Park reporting on bison issues for NPR and for my forthcoming podcast, Threshold. In a nutshell: after being restored from near-extinction, Yellowstone bison have now recovered to the extent that they need to migrate out of the park to find food in the winter. Because many (but not all) local landowners do not want bison on their property, eating their grass and potentially spreading disease to their cattle, many of the animals are killed when they leave the park. There are many who say these conflicts can be mitigated -- they believe bison and cattle can co-exist. But the will to make that happen seems to be lacking. Park officials say between 600 and 900 bison may be killed when they leave Yellowstone National Park this year. Bison advocates says this is way too many killed. Bison opponents say it's not nearly enough. I'm here to explore this issue from all sides. I'm talking to ranchers, bison advocates, two of the preeminent bison biologists in the world (Rick Wallen and Dustin Ranglack), park visitors, Native Americans from various tribes -- everyone who will talk to me. I already knew I was passionate about telling this story, but now I really can't wait to start crafting everything I've been learning and absorbing into what I hope will be a substantive, fair, scientifically sound and emotionally empathetic series, to be released as season one of Threshold next fall. In the meantime, here are some photos from the week. P.S. This kind of investigative journalism takes a lot of time. If you'd like to support this work, here's how you can help.